Every one that owns a computer or a smart phone knows the importance of having an Anti-virus. Not just having an Anti-virus, but having a reliable one. 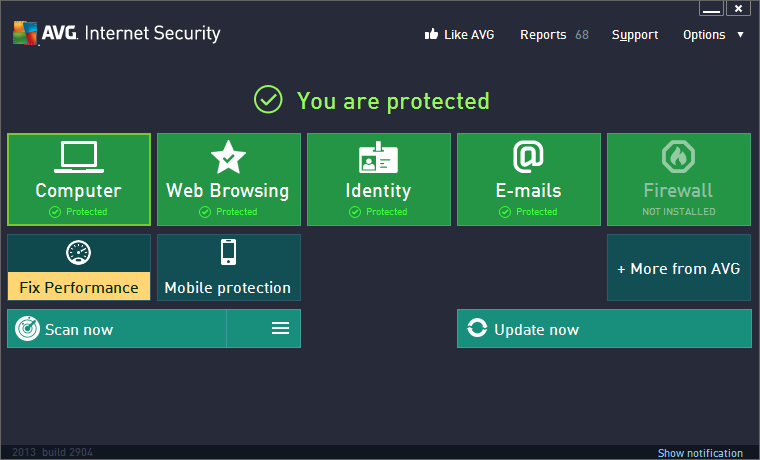 Over the years, AVG has proven its self to be one of the best Anti-virus in the World. I personally do not know about othes but I can GUARANTY the reliability of AVG. In this episode of #FN Awuf, we will be giving out Unique “Pro keys” of AVG 2013 internet security to our FN reader who deserves it. The pro version of AVG 2013 internet security cost about $54.99 each. Follow the links below to download AVG setup for windows 32 and 64bits respectively download the one that is applicable to your computer and install it. 1: Follow our twitter account @freaknaija . 2: Get 5 of your facebook friends to like FN’s fb page http://www.facebook.com/freaknaija. 3: Then comment your e-mail Under this post and get the 5 friends to like your comment. Ones these are done, we will inbox the AVG 2013 Pro key worth $54.99 to your e-mail uniquely for your use ONLY!! !